These standards-based kits are designed to specifically align with California’s science curriculum. 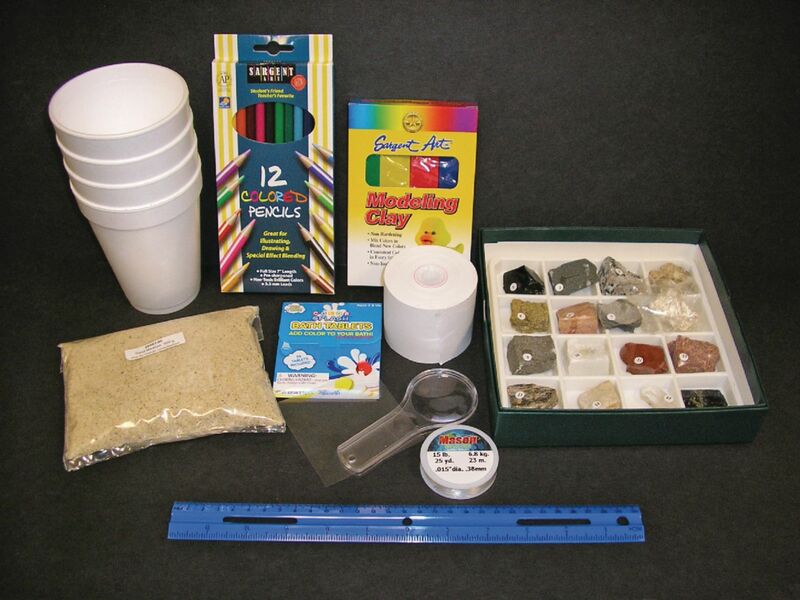 The included kit supplies and instructions combine for fun, hands-on activities that demonstrate the core science principles at each grade level. Through interactive inquiry, your child experiences a higher level of learning and information retention that they will thoroughly enjoy. Ordering information: The kits include all the materials needed to complete the curriculum activities. Written materials to accompany the kits are available online. All materials are packaged in a clear, durable storage tote. Kits include a pack of 12 colored pencils, a 14 oz. styrofoam cup, diffraction, grating, fishing line, had lnes, modeling clay, replacement tablets, rock classification collection, ruler, 500 g medium sand and a roll of tape.